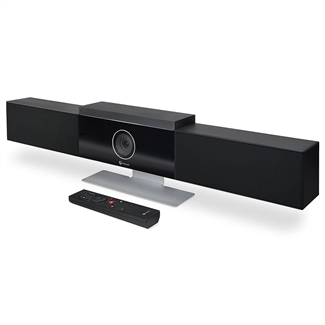 Polycom Studio is an all-in-one USB video bar with 4k image sensor, 6-element microphone array, wideband stereo speakers, and unique technologies like speaker tracking. Studio offers a professional, plug-and-play video conferencing experience in the huddle room and smaller conference rooms. Because Studio connects via USB, it is effortlessly compatible with an enormous range of platforms, including Microsoft Teams, Skype for Business, Zoom, GoToMeeting, BlueJeans, Cisco Webex, and many, many more. 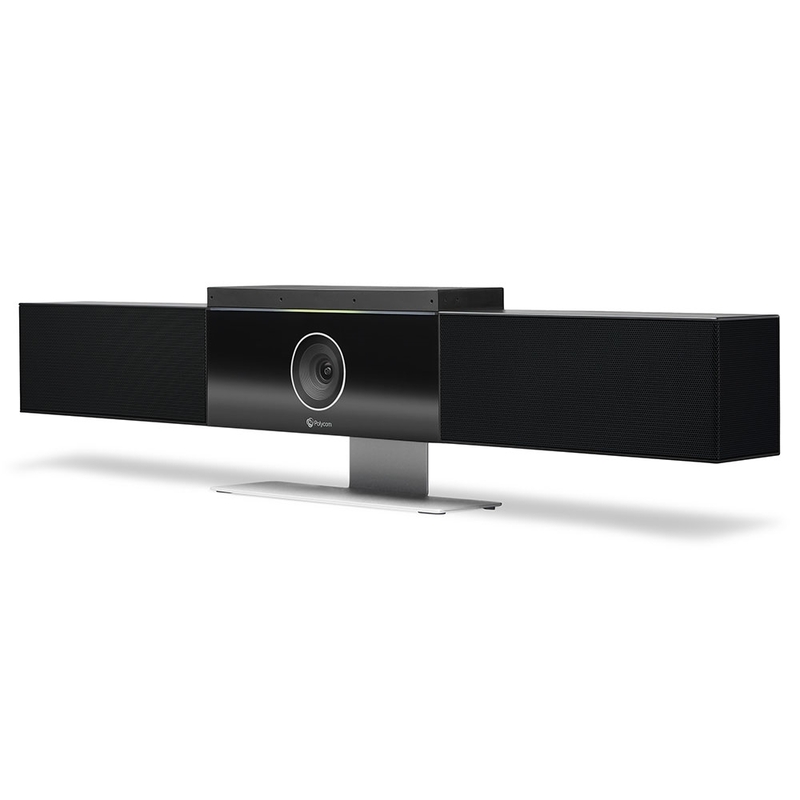 It combines a top-class video camera and beamforming microphone array. The camera has a lens with 120° field of view to capture all the faces in the constrained space of the huddle room. The 4k sensor enables 5x digital zoom with excellent detail. 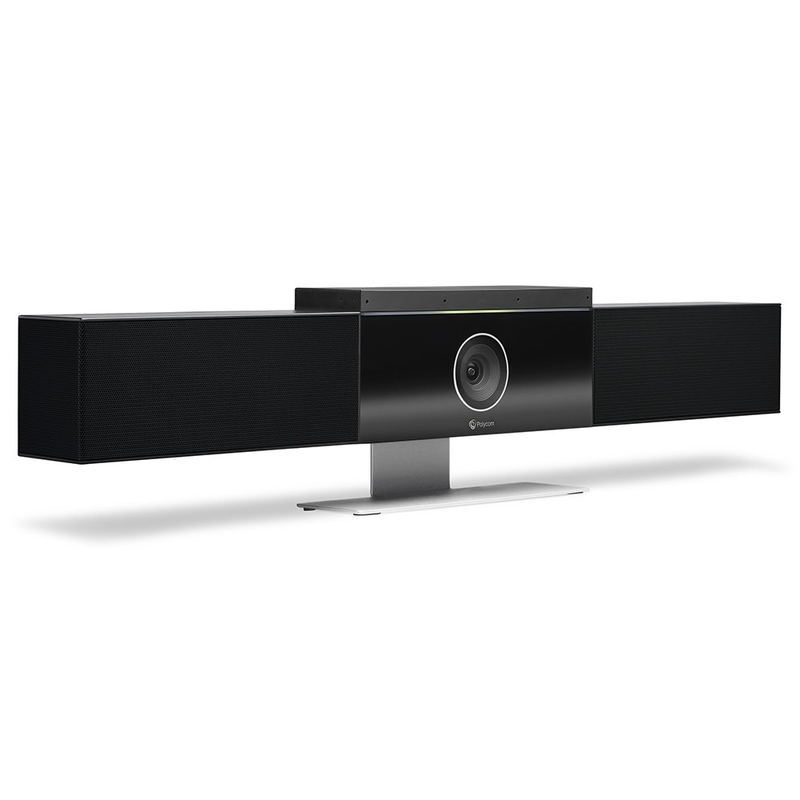 The stereo speakers offer an excellent 100 Hz to 20 kHz frequency range, giving you rich, natural audio. 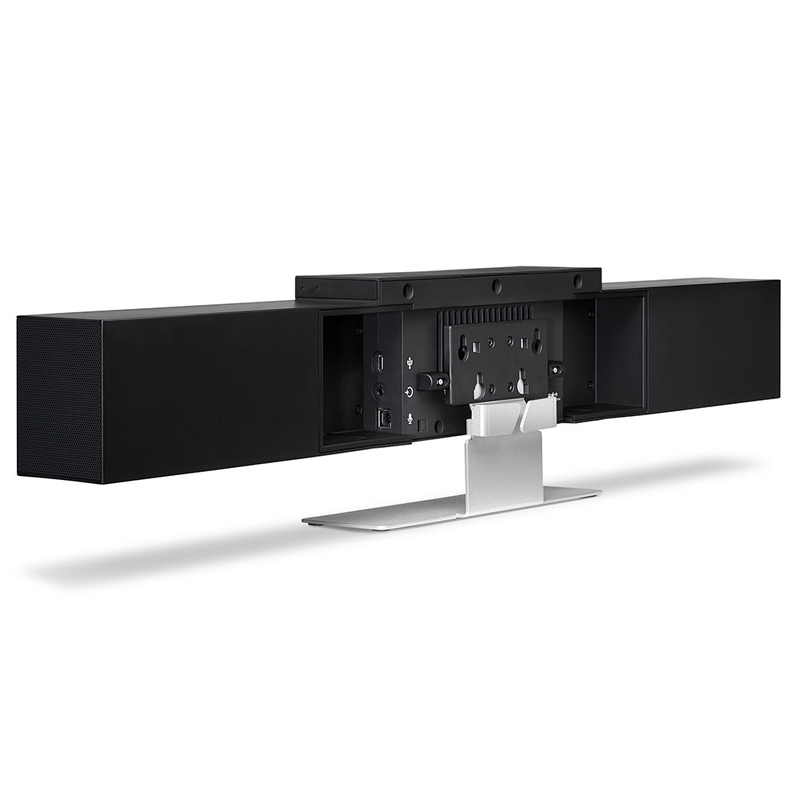 Studio supports Polycom's class-leading technologies for improving group call audio: Acoustic Clarity for full-duplex conversations with echo cancellation, NoiseBlock technology for incredible background noise reduction, and Acoustic Fence, which creates a virtual perimeter around the conversation, eliminating distractions beyond that perimeter. Studio uses dynamic intelligence to pick out all the faces in the conversation and frame the group accordingly, so far-end speakers will be able to see everyone. Studio also uses its 6-element microphone array to track active speakers. When someone starts speaking, it frames that speaker, so you see much more detail. 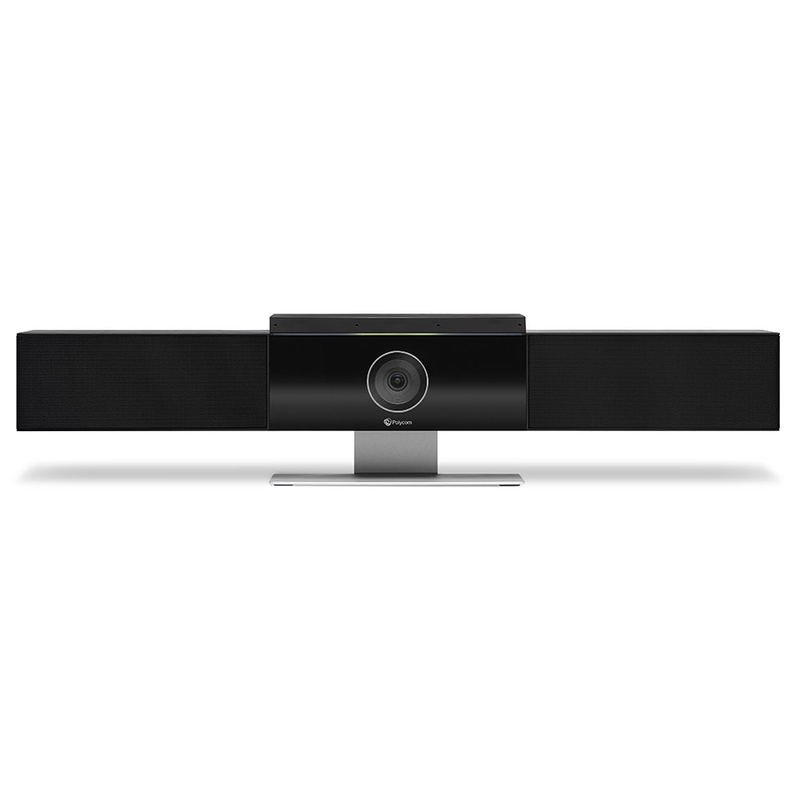 This unique technology for a USB video bar makes video conferencing feel that much more natural, creating focus, improving comprehension, and thereby increasing productivity. When people stop speaking, it will return to framing the whole group. The mics have a 12ft range, perfect for the huddle room. 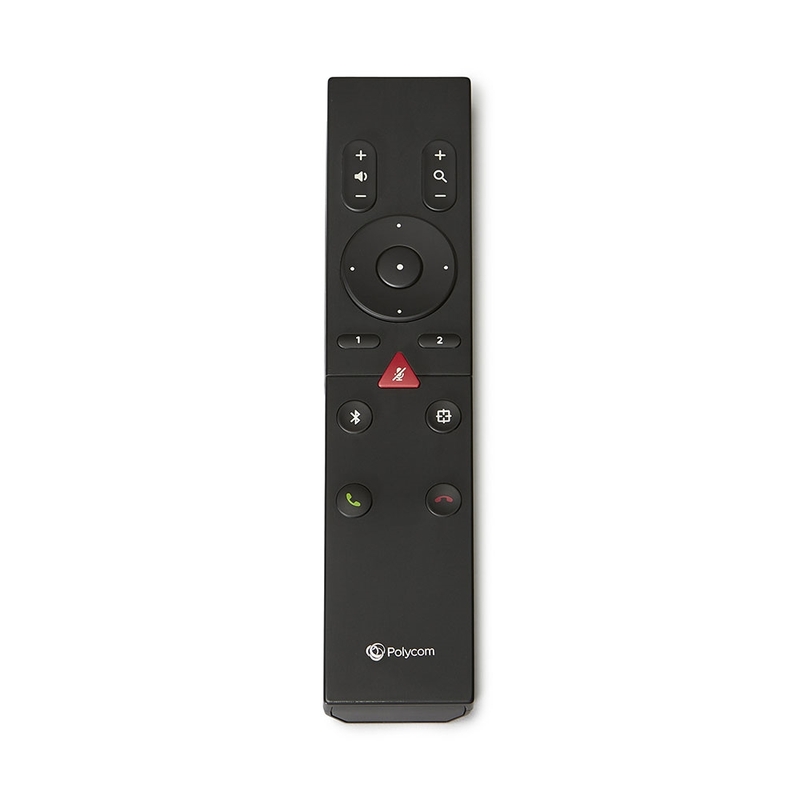 Polycom Studio is a plug-and-play USB device, using USB 3.0 Type-C to connect. It comes with a USB-C to USB-A cable for connecting to the more common version of USB. You can use Studio with both Windows and macOS computers. It has built-in Wi-Fi and Bluetooth radios for wireless device connectivity and simplified management. You can centrally manage all your Studios, pushing firmware updates, controlling settings, monitoring use, and much more. Centralized management greatly improves the efficiency of administration at scale.